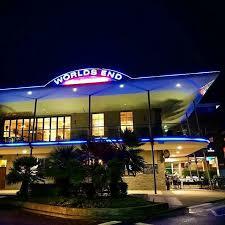 Welcome to World's End Bar, Restaurant & Cafe! We're open 7 days a week from 9am till late, serving breakfast, brunch, lunch and dinner! We have regular live entertainment, all the big games LIVE including rugby, UFC, boxing and more with ice cold Steinlager & Guinness on tap. 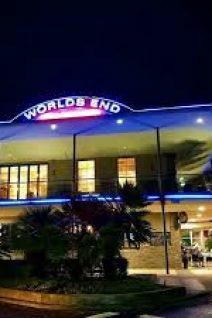 World's End cater to all types of stag and hen functions.